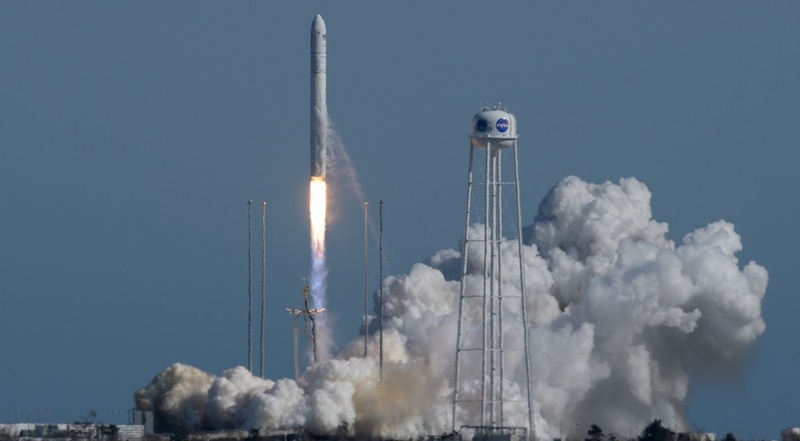 WASHINGTON — European launch provider Arianespace conducted its third launch of the year March 21, orbiting a remote-sensing satellite for the Italian Space Agency on a Vega rocket. 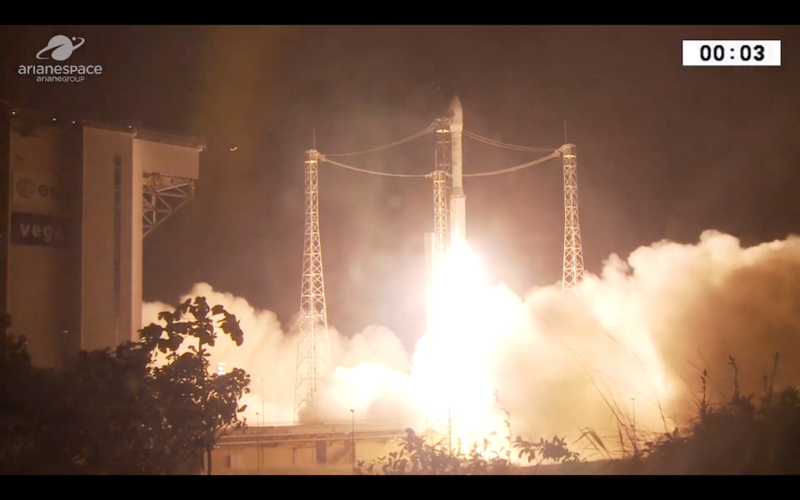 Vega, Arianespace’s light-lift vehicle, took off from Europe’s spaceport in Kourou, French Guiana at 9:50 p.m. Eastern. PRISMA, the PRecursore IperSpettrale della Missione Applicativa satellite, separated from the rocket 54 minutes later. The launch is the first of four Vega missions planned for this year. If none are delayed, it will be the highest number of Vega launches in a single year since the rocket’s introduction in 2012. PRISMA was originally scheduled to launch in 2018, but delays with the European Space Agency’s Aeolus wind-mapping satellite, which also called for a Vega launch, pushed PRISMA into 2019. ASI, the Italian space agency, assembled a roster of Italian companies to execute the PRISMA mission. OHB Italia built the 879-kilogram satellite with Italian aerospace and defense company Leonardo, which supplied the electro-optical payload, solar panels and power supply unit. Thales Alenia Space, a joint venture between Paris-based Thales Group and Leonardo, supplied PRISMA’s onboard data transmission system. Data acquisition and processing will take place at Telespazio’s Matera Space Centre. OHB Italia was also responsible for arranging the launch, for which it choose the Italian-led Vega rocket built by Avio. PRISMA carries what the Italian space agency called the “most powerful operative hyperspectral instrument in the world.” The satellite’s imaging payload is designed to see in 239 spectral bands, plus panchromatically. 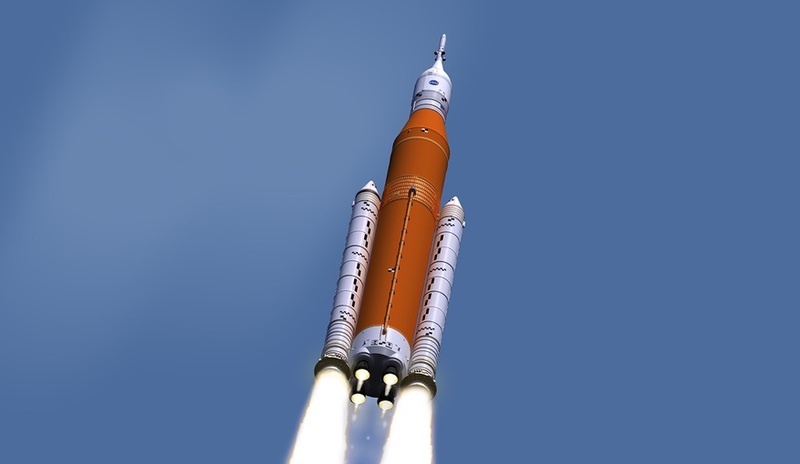 PRISMA has a design life of five years, not counting in-orbit commissioning. Christiano Contini, PRISMA mission director at OHB Italia, said the satellite’s commissioning is expected to take three months. ASI said the satellite will be used to study environmental behavior, including climate change and other human-influenced changes. ASI said such data will be applicable to a wide range of activities, from natural disaster prevention to pollution monitoring, disaster response and agriculture. The satellite will operate in a 615-kilometer sun-synchronous orbit. 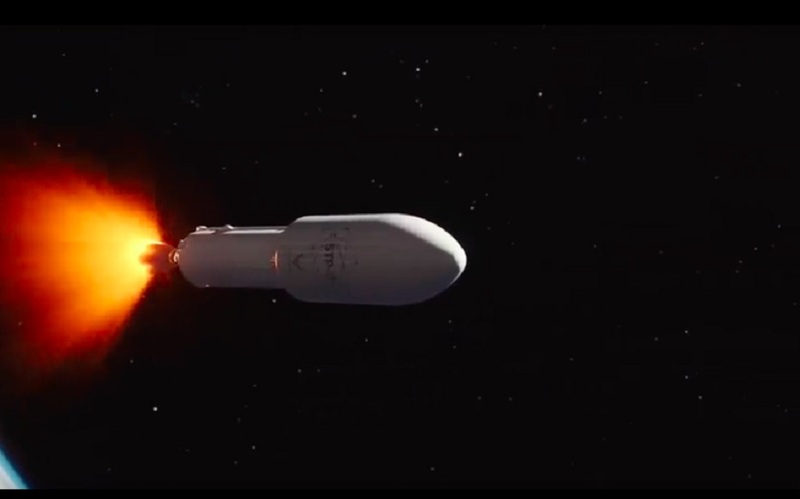 Luce Fabreguettes, Arianespace’s executive vice president of missions, operations and purchasing, said in post-launch remarks that Arianespace’s next launch will take place April 4. The company will use a Soyuz rocket to launch four O3b satellites for SES, expanding the medium Earth orbit system to 20 satellites.